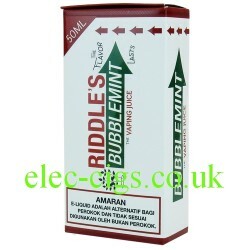 Bubblemint E-Juice from Riddle's is exactly the same taste and flavour as your favourite chewing gum other than the fact that the flavour does not disappear after five minutes. Another Malaysian triumph which will become vastly popular: HIGHLY RECOMMENDED. Bubblemint E-Juice from Riddle's is 50 ML of 80-20 (VG/PG) e-juice with Zero Nicotine. It can be enjoyed as it is or you can add the optional 'Nicotine Shot' which, if added, makes the nicotine content approximately 3 mg (0.3%). Bubblemint E-Juice from Riddle's is for sale to persons aged 18 years or older. The nicotine shot may vary from the one illustrated but will be of an equivalent strength and quality. 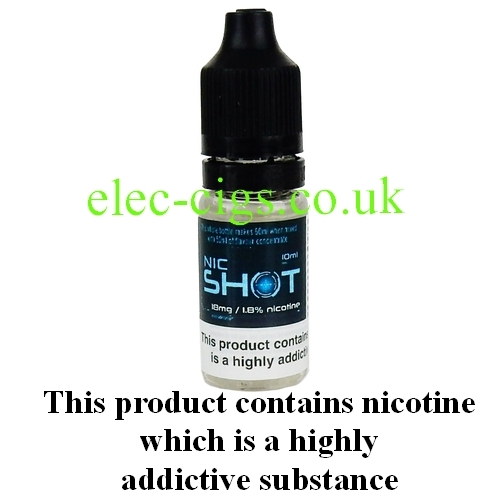 If the nicotine shot is used then this product contains nicotine which is an addictive substance.